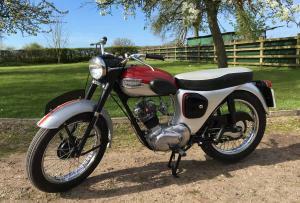 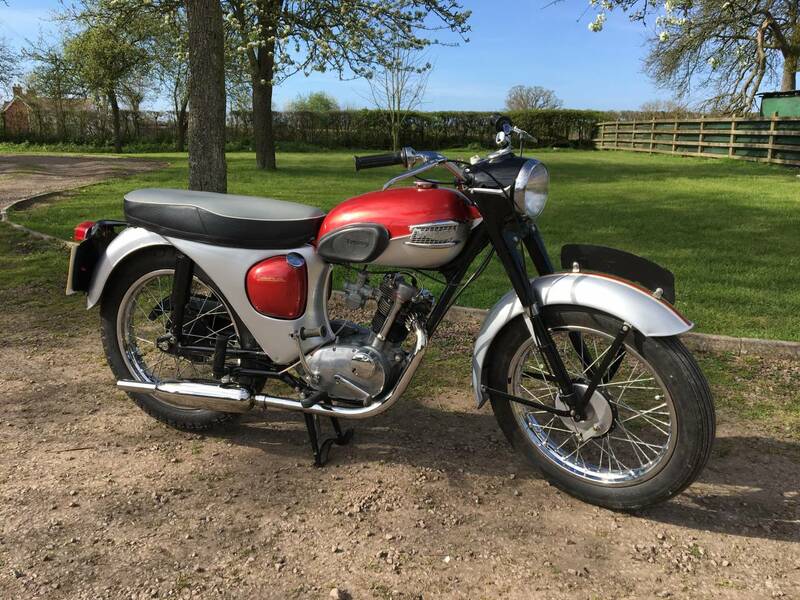 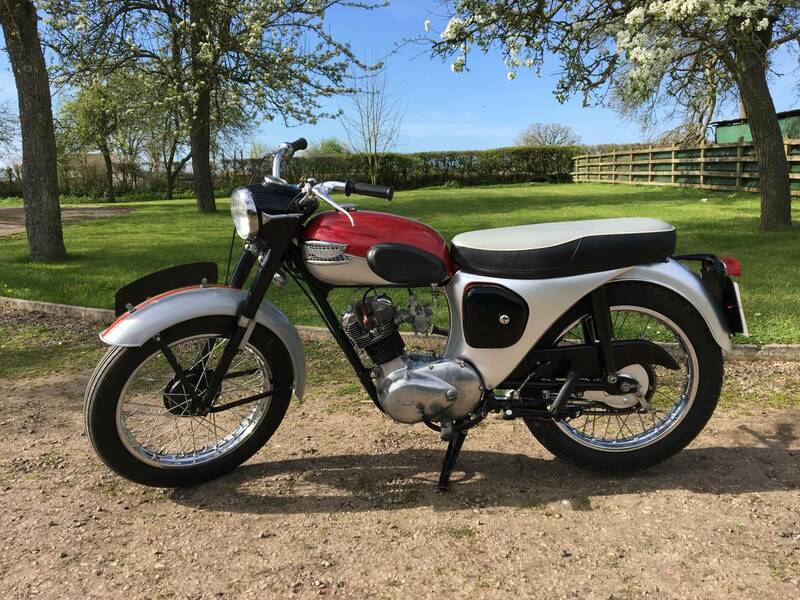 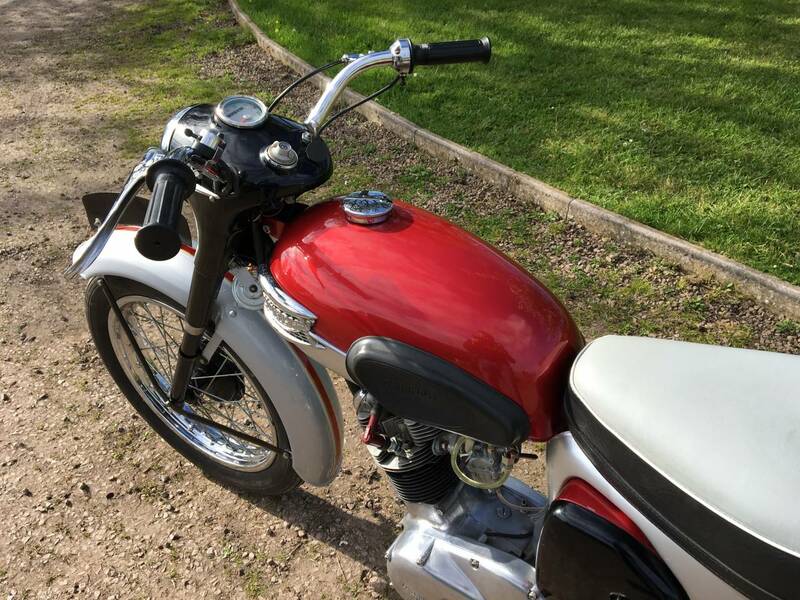 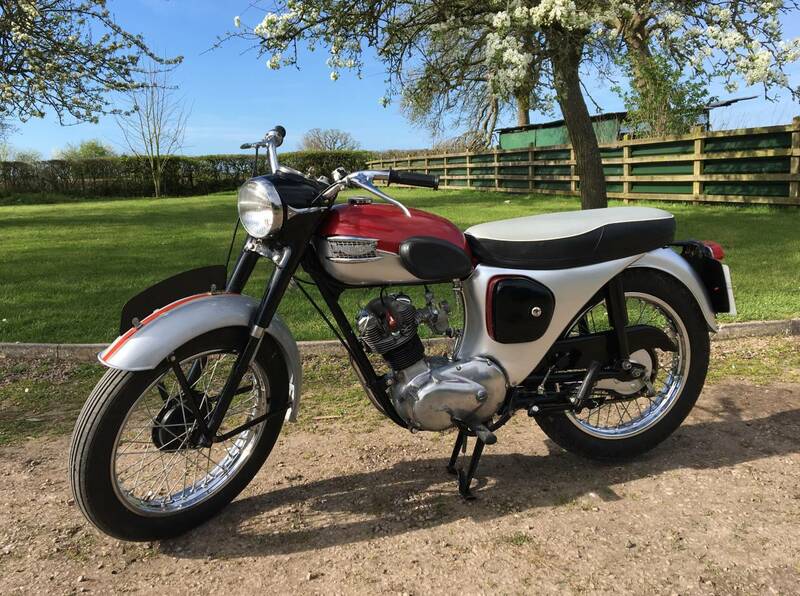 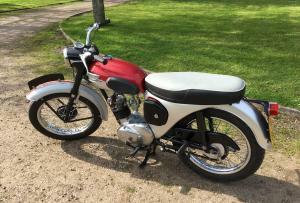 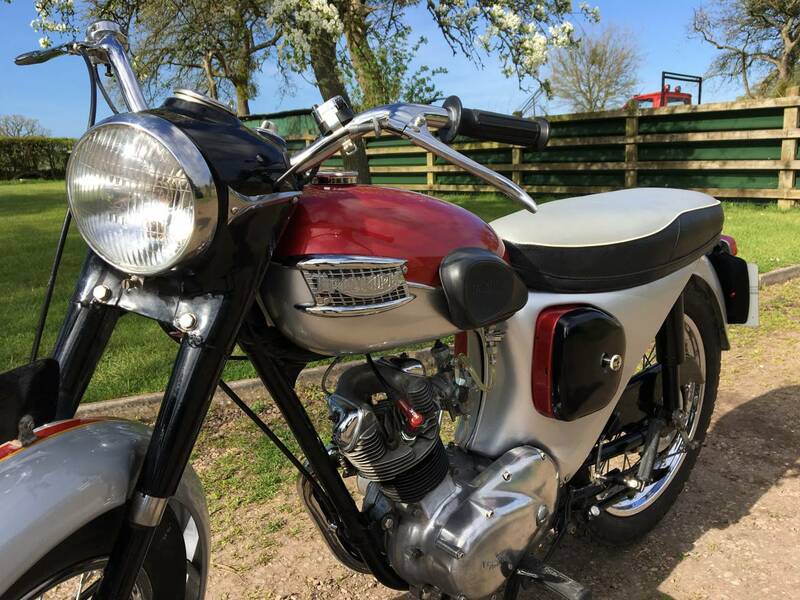 Triumph Tiger Cub 1961 , In Hi Fi Scarlett And Silver . 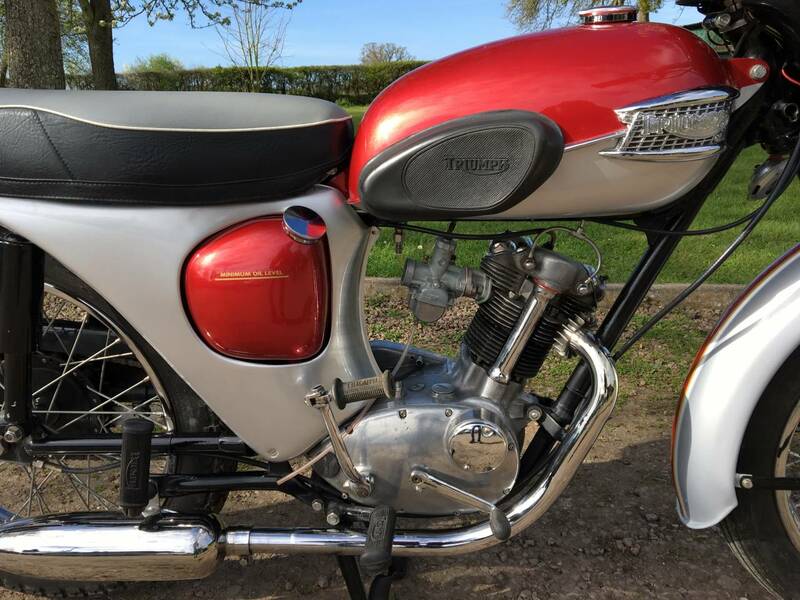 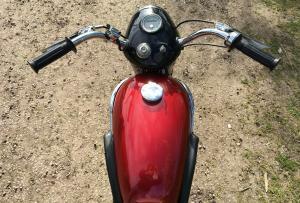 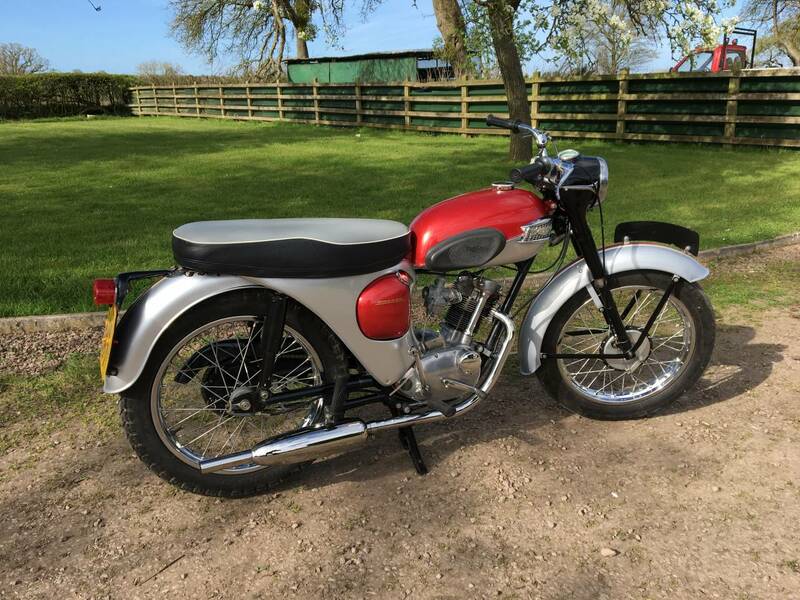 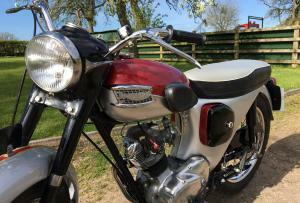 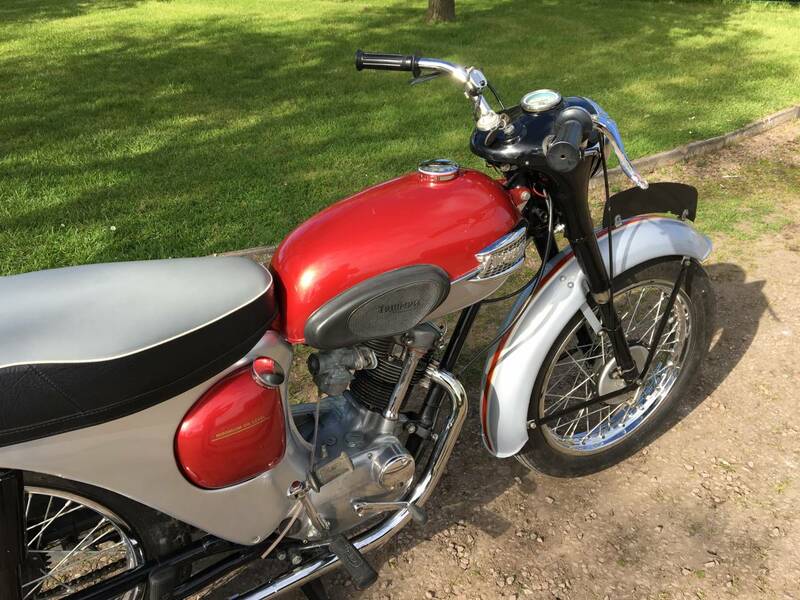 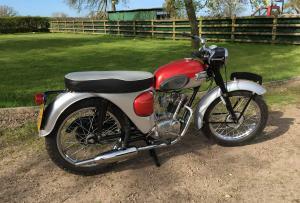 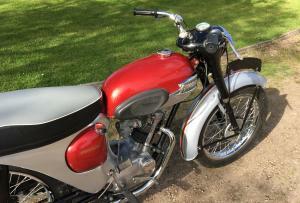 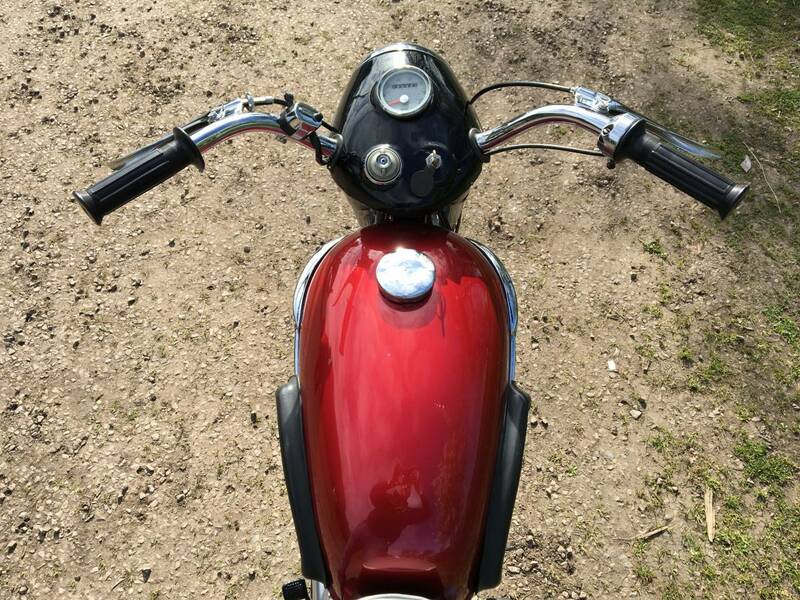 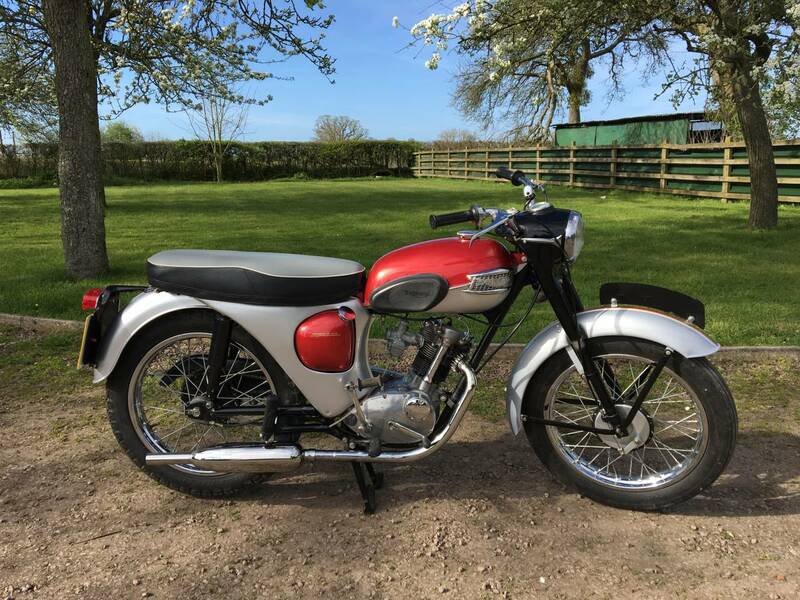 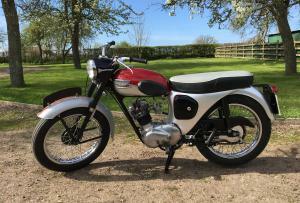 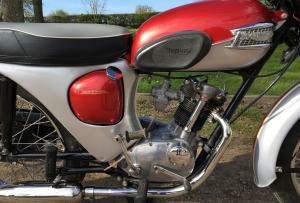 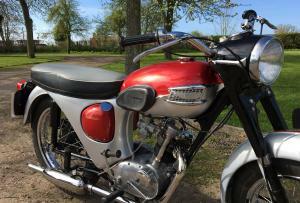 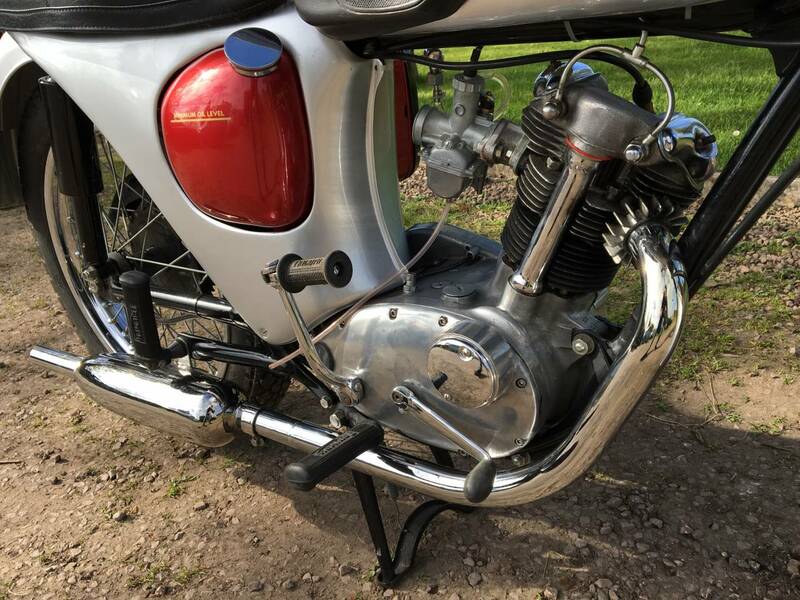 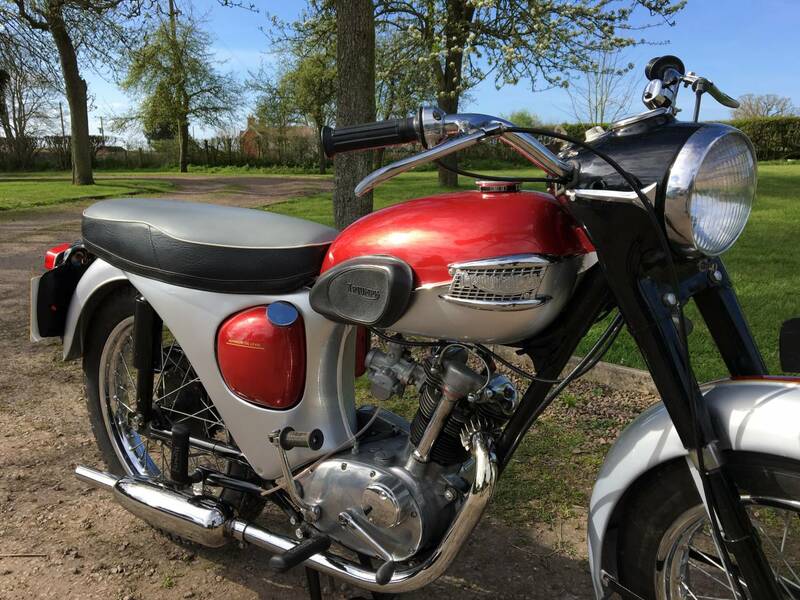 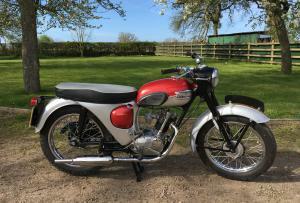 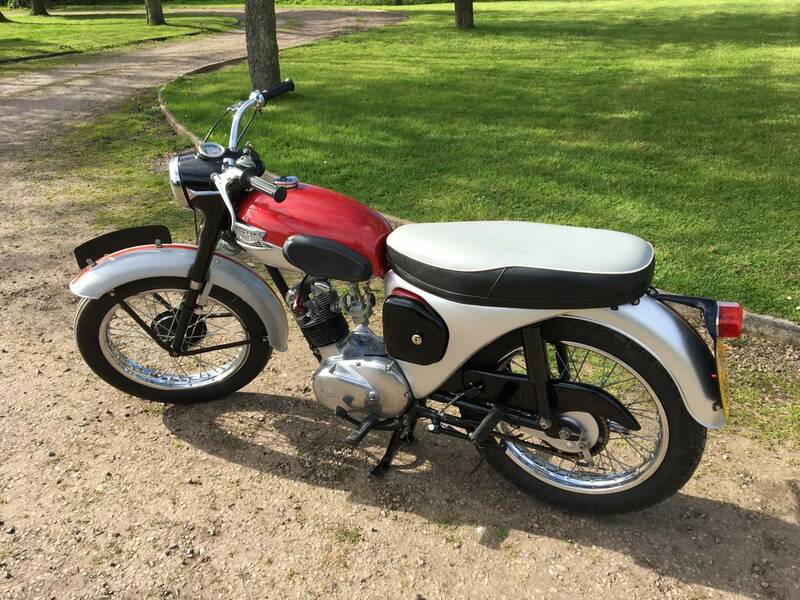 In Fabulous , Cosmetically Restored Condition ; New Paintwork , New Chrome Rims , Spokes , Etc . 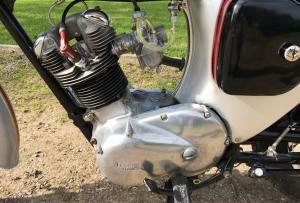 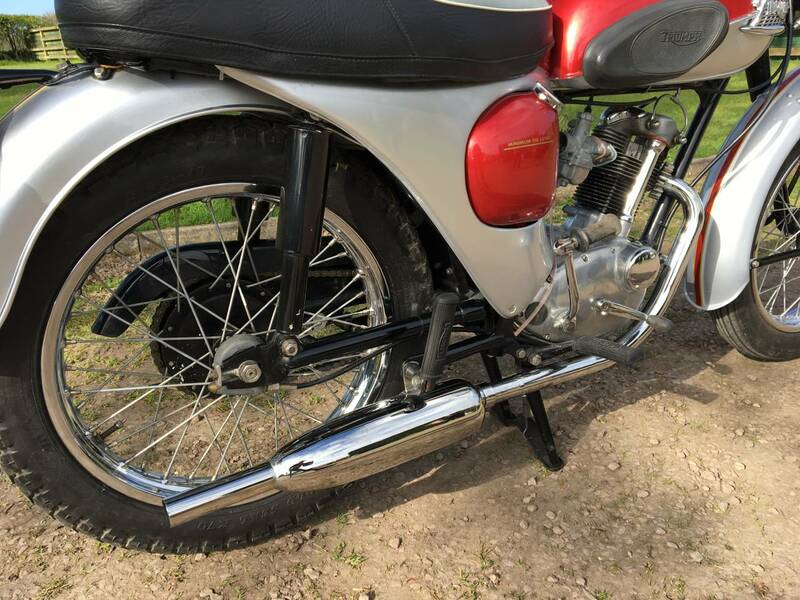 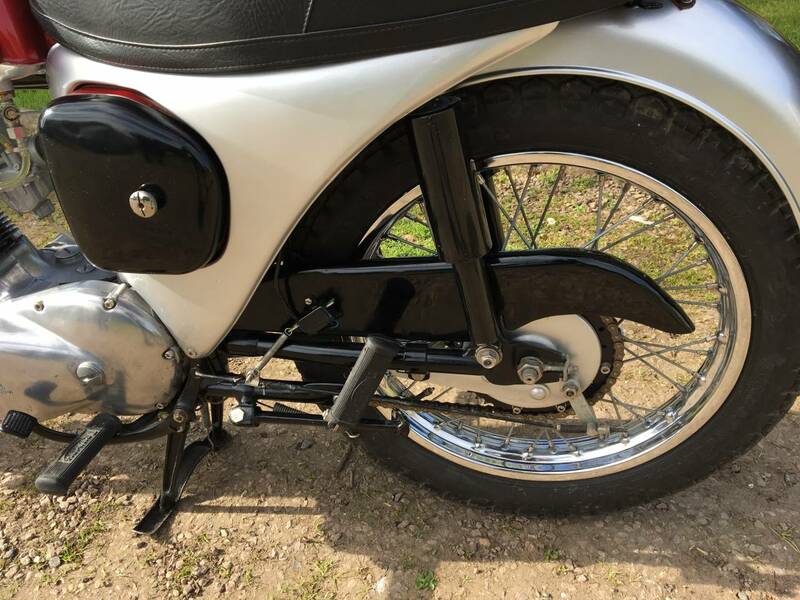 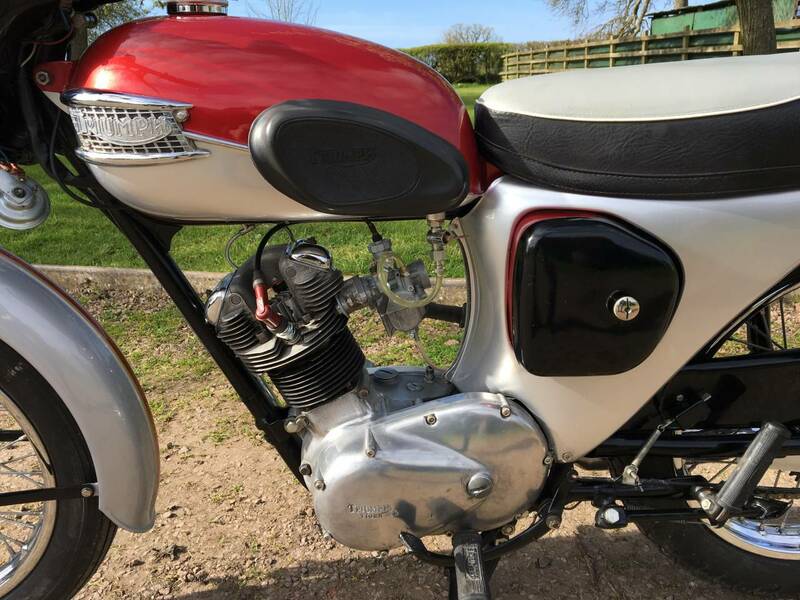 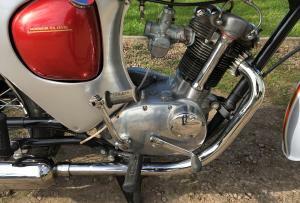 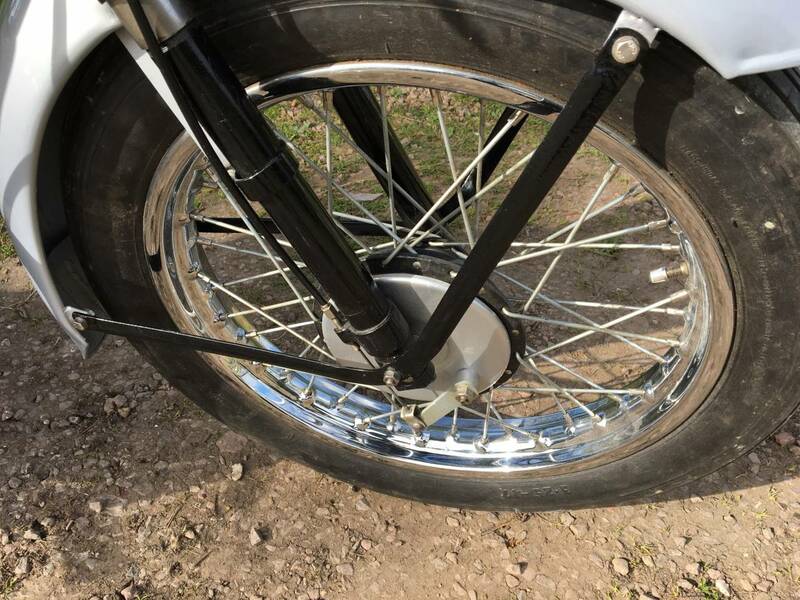 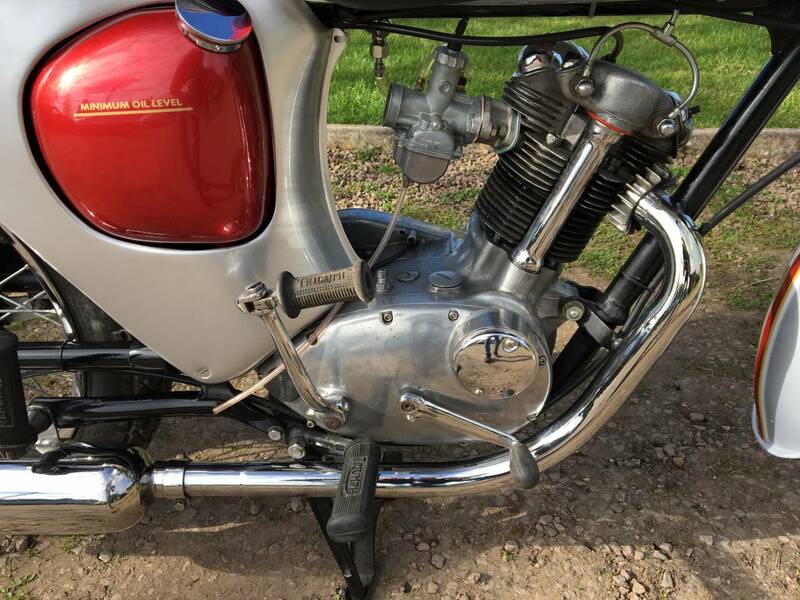 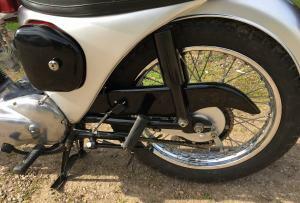 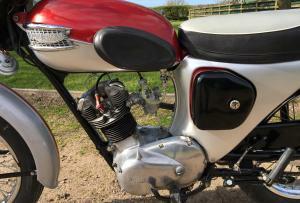 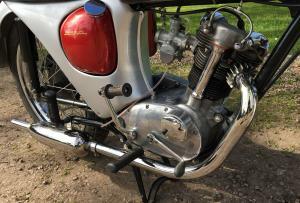 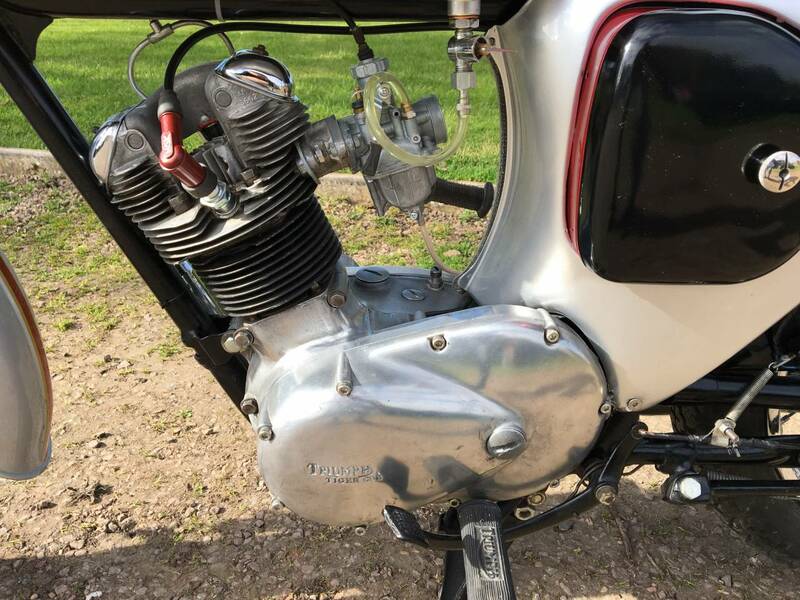 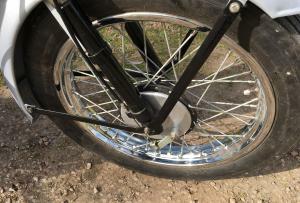 A Few Jobs To Be Done To Bring The Mechanical Side Up To Scratch ; Clutch May Need New Plates As Cable Out Of Adjustment , Fin Damage , As Seen In The Photos , A Bit Smokey , So possibly New Rings Required , Play In Fork Bushes . Nothing That A Handy Person Can't Fix . 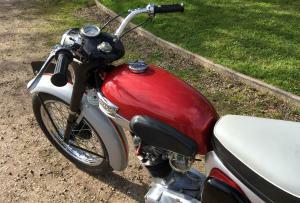 The Expensive Bits Have Been Well Restored , Just Needs The Bits Stated Sorted ,To Make Perfect .